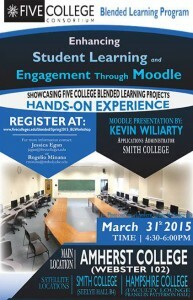 The Five College Blended Learning Program is hosting a workshop on enhancing student learning and engagement through Moodle. Join Asha Kinney from IT and Alana Kumbier from the Library for some practical tips on how to keep up with your work and lower your stress level at the same time. They will share a strategy based on the book “Getting Things Done” for staying organized and avoiding wasted time and energy. They’ll also demo some great online tools for staying organized like Trello and Google Calendar. Free lunch! Mac – December 4, 2013 – 11 a.m.
Windows – December 6, 2013 – 10 a.m. These workshops cover the basic concepts of using an Excel workbook for organizing data and doing simple calculations. Great for an introduction or refresher, and especially good if you want to get on sure footing for the more advanced workshops in January. Mac – January 8, 2014 – 10 a.m.
Windows – January 10, 2014 – 10 a.m.
Get a good handle on some of Excel’s more useful features. We guarantee that at least one thing in this class will prove a time-saver for you. Have that copied formula do what you actually want it to: learn about absolute vs relative cell references. Use conditional formatting to have cells with certain values automatically look the same. Split text in one cell into two cells (for example, separate out first & last names), and combine text in two cells into one cell. Mac – January 16, 2014 – 10 a.m.
Windows – January 17, 2014 – 10 a.m.
Q: What are pivot tables? A: Tools in Excel that automatically summarize your data. They let you see the “big picture” and are easily adjustable to provide different ways of looking at your data. Q: Why would I care about them? A: Because they allow you to answer complicated questions in a snap. Quick: How many orders did you place with Staples last year? And what was the total of those orders? And how many orders per month did you place? And what was the average per month of those orders? If you have information you want your data to provide, pivot tables will give it to you quickly and easily. They will save you time, and they just might change your life! Information Technology, Human Resources, and the Creativity Center are working collaboratively to identify training opportunities and other sessions that can help all of us at the College deal with the challenges of having more work than time. The first initiative in this continuing series is a “Brainswarming: Looking at Workload” workshop on Thursday, December 5, 2013, in FPH Lounge from 10-11 am. At this innovative workshop, supervisors and staff can look at the issues around having more work than time to do it. Professor Tony McCaffrey will lead the session using a technique called “Brainswarming.” The Brainswarming process in this workshop will allow us to identify the broad spectrum of factors that come to play with workload issues, from organizational skills to supervisor prioritization of work to the College budget. We encourage both supervisors and non-exempt and exempt staff to attend, whether you are struggling with your workload, see someone in your department or school who is, think you have some perspectives or ideas to share, or all of the above. 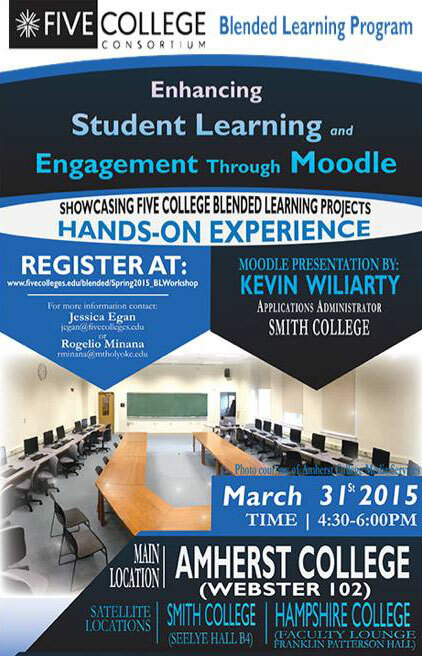 Supervisors, please provide time for your staff to attend this valuable workshop. If you would like to try Brainswarming and work to solve the question of how to get work done within the limits of a 35-hour work week, please plan to attend the workshop led by Tony McCaffrey on Thursday, December 5, 2013, in the FPH Lounge from 10-11 am. Please rsvp to hr@hampshire.edu by Monday, December 2 to let us know you will be attending. Brainswarming borrows insights from how swarms of insects successfully solve problems together. Participants in this exercise learn how to generate ideas together without initially talking. Participants silently add Post-It notes to a special problem-solving graph that organically grows as contributions are added and finally becomes connected as solutions (or possible solutions) are matched to problems. Discussion then follows with the group of participants. The great part about not talking during the initial part of Brainswarming is that it levels the playing field of all the participants as all ideas are generated and presented without one person or the loudest person dominating the direction of the ideas put forth. “Getting Things Done” is a methodology for staying organized while lowering stress at the same time. A little strategy goes a long way when there are not enough hours in the day! IT invites exempt and non-exempt staff and their supervisors to an overview session of “Getting Things Done”- a system for keeping up with your tasks and lowering stress at the same time. We’ll go over the basic concepts and look at some tech tools to help you put them into place. Thursday, December 12th, 10-11:30 a.m.
You may be familiar with the concepts of traditional project management, and you may even be a very strong project manager. “Scrum” represents another very effective tool in your toolbox of project management techniques. For projects in which the requirements are continuously changing, you may need a more proactive project management approach. The definition of “project” has a wide range – anything from making a sandwich to building a house constitutes a project. If you work on projects of any size and want to get tips on managing projects in a way that allows for moving targets and good “customer” relations, “Scrum” is for you. We will use our time in class to work through the stages of a sample project. Presented by Bob Crowley and Ben Fellows of IT. Wednesday, January 15th, 10 a.m. – 12 p.m.